Vatican City, Dec 17, 2018 / 04:18 pm (CNA/EWTN News).- More than 100 nativity scenes are on display near the Vatican as the Pontifical Council for the Promotion of the New Evangelization seeks to share the history and spirituality behind the nearly 800-year-old Christmas devotion. “The nativity, in addition to being a beautiful cultural tradition transmitted [by] the genius of St. Francis of Assisi and spread throughout the world, is a strong instrument of evangelization,” Archbishop Rino Fisichella, the president of the pontifical council, said at the exhibit’s opening. “Every Christmas many people stop before the mystery of God-made-man, represented with statues, which in many cases are authentic masterpieces of art, to pray, reflect and discover the love of God who becomes a child for us,” Fisichella continued. The indoor nativity display brings together 126 diverse nativities from Taiwan to Panama made from a variety of materials including pinecones, aluminum, coral, yarn, and papier-mache. Among the many historical nativities from Italy is a modern rendition of the nativity made entirely out of pasta. 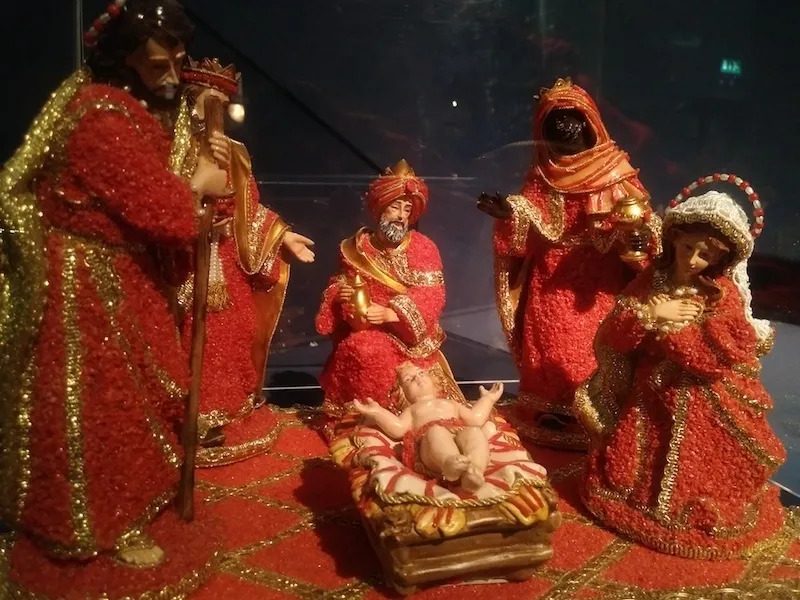 The exhibit is completely free to encourage families and school trips to rediscover the meaning of Christmas — the birth of Jesus, organizers said. While viewing the nativity scenes, visitors can read reflections on the meaning of the nativity from saints throughout history. St. Francis of Assisi created the first nativity scene in 1223 in a cave outside of Rome using a live donkey and ox to surround a manger and an altar with the Holy Eucharist as the presence of the newborn Christ child. Francis was partly inspired by the relic of the wooden boards from Christ’s manger in the crypt the Basilica of Saint Mary Major in Rome, where they can still be viewed and venerated today. “She gave birth to her son from whom radiated such an ineffable light and splendour that the sun was not comparable to it,” St. Bridget wrote. Several of the historic seventeenth and eighteenth century nativity scenes from Italy display the nativity scene among ruins of ancient columns of palaces. This imagery both alludes to Jesus’ royal lineage from the House of David, and to a pagan legend that the Temple of Peace in Rome would collapse if a virgin gave birth. 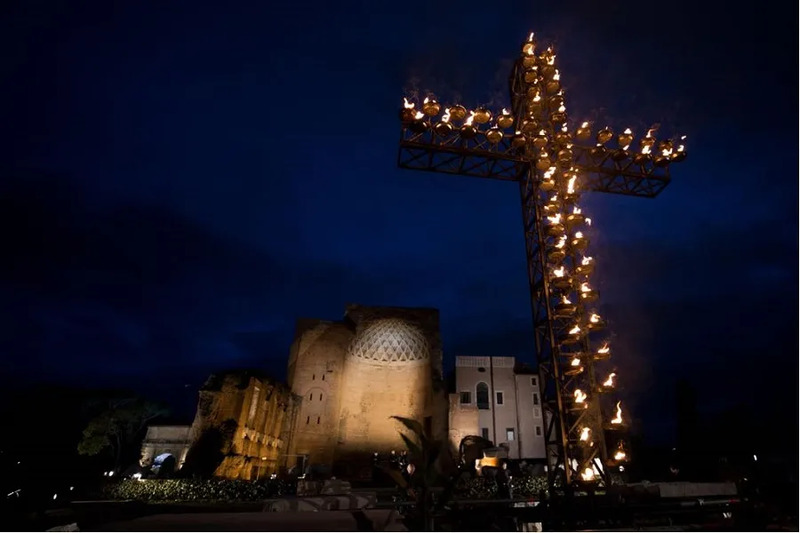 The annual “100 Nativities” exhibit was started in 1976 by Italian Manlio Menaglia, who worried that the Catholic devotion was being overshadowed by other Christmas decorations. 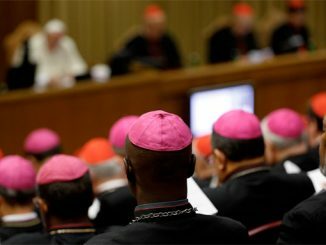 This is the first year that the nativity exhibition is under the leadership of the Vatican. “100 Nativities in the Vatican” can be viewed inside the Saint Pius X Hall along the Via della Conciliazione. It is open every day from 10 a.m. to 8 p.m. through January 13, 2019.
Credit for all photos: Courtney Grogan / CNA.